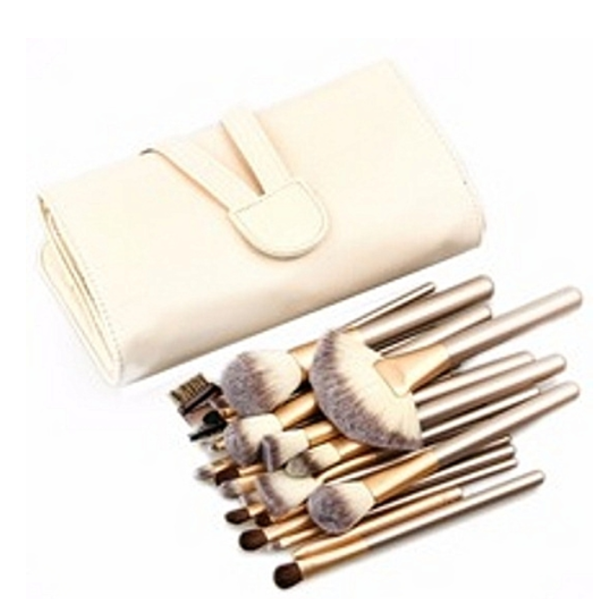 Unique champagne coloured makeup brush set in a pouch. All the makeup tools you need for a professional look at an affordable price. Practice youcam makeup for real.